A $28 million project to convert the former Goodwill headquarters on the South Side into apartments and retail space is good to go, thanks in part to a $5 million state redevelopment assistance grant. The grant, awarded by Gov. Ed Rendell last week, will help close a gap in the financing and enable the project to move forward, city Urban Redevelopment Authority board members were told Thursday when they authorized the receipt of the money. Green Tree developer Burns & Scalo Real Estate plans to convert the seven-story building on East Carson Street into 87 market rate apartments and 10,000 square feet of ground level retail space. James Scalo, Burns & Scalo president, said he expects the apartments to rent for about $1,500 a month. He said the state money will be used to help build a parking garage within the complex, an amenity he believes will be a big selling point. He said it would be the only residential project on the South Side with secure parking within the building. With the money committed, Mr. Scalo said he hopes to start demolition work inside the building next month. Construction work is expected to start in April, with an opening slated for spring 2012. Burns & Scalo will clean and preserve the facade and also seek to have the Renaissance Revival building listed on the National Register of Historic Places, in part to make the project eligible for historic tax credits, Mr. Scalo said. Burns & Scalo came under some fire last summer when it received permission from the city Historic Review Commission to demolish an adjacent Goodwill building to make way for an Aldi supermarket. Mr. Scalo said there’s a reason the developer is seeking to preserve the Goodwill headquarters while it demolished the other structure. 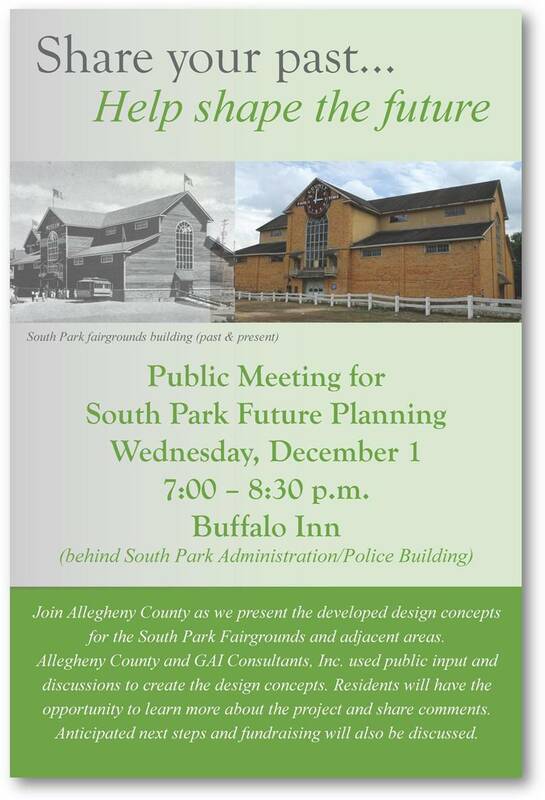 “This building has a lot of historic value. The other one did not,” he said. The structure used to be the mercantile store for the J&L Steel plant on the South Side. Also Thursday, the URA board approved a deal that allows Cleveland-based Forest City Enterprises to make a $9 million lump sum payment to the URA to close out a $20.8 million loan dating back to 1984. The loan was used to build Liberty Center, the 27-story skyscraper that houses the Westin Convention Center hotel and Federated Investors. Since the loan’s inception, Forest City had made about $9.5 million in payments. The developer, about three weeks ago, approached the URA about discontinuing $400,000 in yearly payments in exchange for one final lump sum amount. In agreeing to the deal, the URA will be accepting about $2 million less than the original loan, not including interest. However, Rob Stephany, URA executive director, said there was a chance that future yearly payments, which were tied to cash flow, could decrease, depending on the tower’s occupancy and lease arrangements. He said Forest City originally offered $3.5 million as a lump sum payment. Mr. Stephany said the URA plans to reinvest the $9 million in city neighborhoods that are eligible for federal community development block grants. The historic Kaufmann Center in the Hill District, home to social services and events in the neighborhood for decades, is that much closer to reopening as a state-of-the-art auditorium for community development, education, arts and cultural happenings, thanks to a $100,000 grant from the PPG Industries Foundation. The structure – part of the six-building Hill House Association, local provider of health, education, housing and other services – had fallen into disrepair and closed in June 2009. The grant from PPG, says Foundation Executive Director Sue Sloan, will aid the Center’s $5 million renovation effort, which includes a new entryway and LEED certification of the building as a newly energy-efficient green structure. Hill House hopes the renovated auditorium will attract regional events to the neighborhood as well. Overall, the building’s renewal should contribute to the organization’s and the neighborhood’s health, both financially and socially. A social services group wants to transform an empty Homewood school into a building where people could attend educational programs and community events. On Dec. 16, the Homewood-based Community Empowerment Association will ask the city’s Zoning Board of Adjustment to change the designation of the Kelly Street building that once housed Holy Rosary school. “We want to live up to the legacy of the Catholic Church and provide services to the community,” said Rashad Byrdsong, founder of the community association. 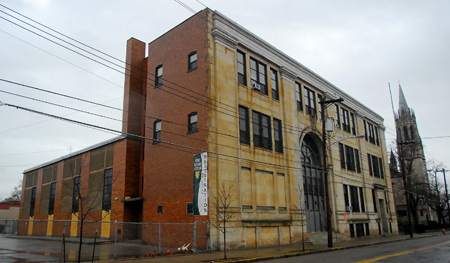 The group wants to lease, and eventually buy, the three-story, 39,000-square-foot building from the Pittsburgh Catholic Diocese, but the area is zoned for school use only. The diocese closed the school this summer, saying it couldn’t support two schools a mile apart. Holy Rosary merged with St. James School in Wilkinsburg to create the Sister Thea Bowman Catholic Academy. Classes began this fall in the St. James building. Holy Rosary, which celebrated its centennial just before closing, was considered a refuge in a neighborhood that wrestles with crime and poverty. Byrdsong said his group is talking with Taylor about the possibility of leasing the building. He would not disclose financial details because negotiations continue. Among the group’s services, Byrdsong said, are programs to lower student dropout rates, as well as job training and community events. The group hosts programs in two buildings in the area and would consolidate operations from those buildings at the former school. The Rev. Ronald Lengwin, spokesman for the diocese, said Community Empowerment Association hasn’t submitted a plan to the diocese, which supports reuse of its vacant buildings. “We typically prefer they are used to benefit the community,” Lengwin said. The diocese stopped celebrating Sunday Liturgy at the adjacent Holy Rosary Church on Oct. 24. Taylor said only 100 parishioners celebrated Mass there. They attend services at Mother of Good Counsel Church on Bennett Street. Lengwin said the church building will host some services, including weddings and funerals. “It’s an incredible church,” Lengwin said.